The TXGenWeb Project and The USGenWeb Project. TXGenWeb and all of the USGenWeb projects celebrated our 20th anniversary online two years ago. We are awfully proud that the project is still strong and viable, and that it continues to get even better. We are looking forward to the next 20 years. Barbara Knox died peacefully on January 2, 2016 at the age of 92. 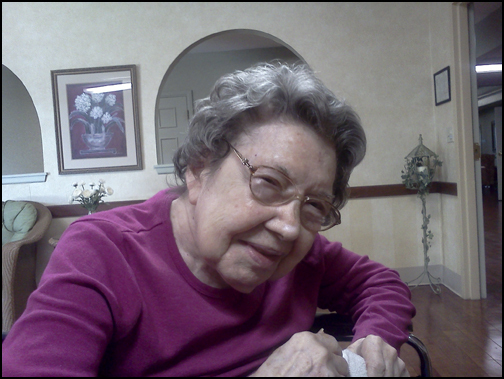 She had been the County Coordinator of Ellis County TXGenWeb since the conception of TXGenWeb in September 1996. She was also Co-Coordinator of Navarro County TXGenWeb, also since the beginning, and Co-Coordinator of Tarrant County TXGenWeb since October 1998. She was presented with the Dedicated CC Award in December 2012. Welcome to the Ellis County TXGenWeb website. Sylvia Smith and Rob Yoder are the Co-County Coordinators. Most of the information found here has been contributed by researchers interested in Ellis County, its history and people. You have a standing invitation to submit records of any kind and if you spot errors, please notify us. Please contact Sylvia Smith, Co-County Coodinator, with your inquiries about this website. Click here to review What's New on this website. Addresses of local societies, libraries, the court house etc. that you will need to help round out your research in our county. Queries - Post or read queries posted by others who may have a similar research interest. Look-Ups - Volunteers are on hand to aid you in your search for ancestors in select resources and publications. Mailing List - Subscribe to our interactive Mailing List to directly exchange information with hundreds of other Ellis County researchers. 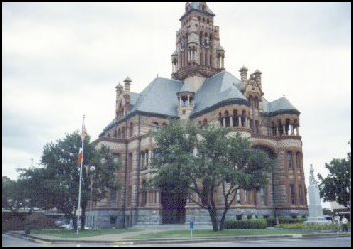 Bibliography of published works pertaining directly to Ellis County and it's citizens. Photo Gallery of Ellis County's landmarks and pioneers. Have You Ever Talked with Anyone in a Cemetery? Yesterday's News in Ellis County - Abstracts from early area newspapers. The TXGenWeb Project Orphan Counties - Adopt a county and become part of our team. Shirley Cullum, the TXGenWeb State Coordinator. The old visitor counter that we had on RootsWeb simply vanished one day. I believe that the count was somewhere between 350 and 360 thousand visitors when they disabled the script. The last time that I actually wrote down the count was August 24, 2015 when we had 348,026 visitors. This new counter started at zero on January 04, 2017. Copyright © 1996-2019, Ellis County TXGenWeb. All Rights Reserved.